Regarded as the ultimate dry lube for your boat. This product is ideal for reducing drag in air and water, reduces wear by up to 10 times longer than teflon or wax based lubricants. 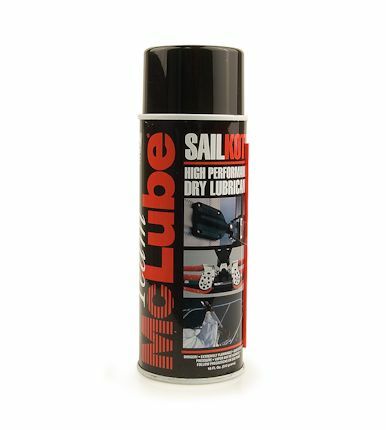 Easily applied spray lubricant, ideal for lubricating blocks, travellers, asymmetric poles and daggerboards. Coating spinnakers prolongs the finish. Dry coating that bonds to any surface.